EmerginC's Christmas Pack with Hyper-Vitalizer Face Cream combines a trio of skincare products to leave your complexion cleansed, refreshed and intensely moisturized. A gentle, soap-free facial cleanser that effectively lifts away dead skin cells whilst removing dirt, grime and makeup from skin. Cleansing skin without over-drying, the cleanser will leave your face feeling soft, refreshed and replenished. An invigorating toner that works to tone and refresh skin whilst swiping away last traces of makeup to leave skin clean and revitalized. A luxurious face cream enriched with antioxidant-rich Alpha-Lipoic Acid and CoQ10. Working to hydrate and re-energize skin, the rich formula delivers a veil of nourishment whilst fighting free radical damage and helping to improve skin's tone and texture. Its dose of Hyaluronic Acid ensures skin stays intensely hydrated. Expect a soft, supple and protected complexion. Suitable for sensitive skin. Cleanser: Apply morning and night on dry skin, massage in, then add water before rinsing off. Toner: Sweet across skin after cleansing. Face Cream: Apply morning and/or night after your favorite serum. 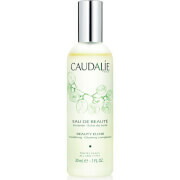 Cleanser: Active Ingredients: Vitamin C, Natural Fruit Acids, Maritime Pine Bark Extract. Full Ingredients: Aqua (Water), Sorbitol, Cetearyl Alcohol, Pinus Taeda (Pine) Bark Extract, Behentrimonium Methosulfate, Vaccinium Myrtillus (Bilberry)Fruit Extract, Camellia Sinensis (White Tea) Leaf Extract, Sodium Ascorbyl Phosphate (Vitamin C), Citrus Grandis (Grapefruit) Seed Oil, Hippophae Rhamnoides (Sea Buckthorn) Oil, Ascorbic Acid (Vitamin C), Limonene, Citral, Linalool, Saccharum Officinarium (Sugar Cane) Extract, Citrus Limon (Lemon) Fruit Extract, Citrus Aurantium Dulcis (Orange) Fruit Extract, Acer Saccharum (Sugar Maple) Extract, Phenoxyethanol, Caprylyl Glycol, Sorbic Acid. Toner: Active Ingredients: Vitamin C, Witch Hazel, Peach Extract, Mimosa Extract, Chamomile. Full Ingredients: Aqua (Water), Butylene Glycol, Prunus Persica (Peach) Fruit Extract, Mimosa Tenuiflora Leaf Extract, Chamomilla Recutita (Matricaria) Flower Extract, Hamamelis Virginiana (Witch Hazel) Leaf Extract, Centaurea Cyanus (Cornflower) Flower Extract, Aloe Barbadensis Leaf Extract, Ascorbic Acid (Vitamin C), Gluconolactone, Sodium Benzoate, Sodium Lauryl Glucose, Carboxylate, Lauryl Glucoside, Polysorbate 20. Face Cream: Active Ingredients: Alpha-Lipoic Acid, Coenzyme Q10, Lutein, Liposomes, Hyaluronic Acid, Borage Seed Extract, Meadowfoam Extract, Shea Butter, Vitamins H, C and E, Rose Essential Oil. Full Ingredients: Aqua (Water), Glyceryl Stearate, Caprylic/Capric Triglyceride, Cyclopentasiloxane, Polysilicone-11, Cetearyl Alcohol, Sodium Hyaluronate, PEG- 100 Stearate, PEG-40 Stearate , Sodium Ascorbyl Phosphate (Vitamin C), Tocopheryl Acetate (Vitamin E), Lecithin, PEG-150 Distearate, Polysorbate 60, Sucrose, Butylene Glycol, Butyrospermum Parkii (Shea) Butter, Limnanthes Alba (Meadowfoam) Seed Oil, Glycerin, Thioctic Acid (Alpha Lipoic Acid), Tapioca Starch, Ubiquinone (Coenzyme Q-10), Borago Officinalis (Borage) Seed Oil, Panthenol, Biotin, Xanthan Gum, Xanthophyll (Lutein), Phenoxyethanol, Caprylyl Glycol, Sorbic Acid, Rosa Damascena (Rose) Flower Oil, Citronellol, Geraniol, Eugenol, Linalool, Benzyl Alcohol.